Use our Coromandel motel as a base for all your day trips to explore Thames and the Coromandel Peninsula. A truly unique Kiwi experience that every New Zealander should experience at least once in their lifetime! 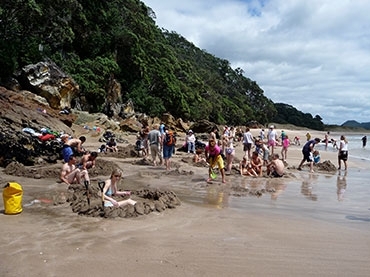 An underground river of hot water flows from the interior of the Earth to surface in the Pacific Ocean at Hot Water Beach – a long beautiful white beach located between Tairua and Whitianga. The stunning beach overlooks the Pacific Ocean and offshore Castle Rock, with pohutukawa-lined cliffs at either end of the beach. Accessible only on foot, boat or kayak, the famous Cathedral Cove is one of the 'must visit' sites on the Coromandel Peninsula. Cathedral Cove Marine Reserve, Te Whanganui-A-Hei, covers 9 square kilometres and is New Zealand's sixth marine reserve. It is administered by the Department of Conservation. This site was chosen for a marine reserve because of the rich and varied habitats associated with the coastline and outlying islands. This beautiful area of the Coromandel Forest Park includes 21 walking tracks ranging from 20-minute strolls to rewarding overnight trails. Administered by the Department of Conservation, Kauaeranga Valley is an ideal playground for hikers, mountain bikers and nature lovers. Clear streams run through the valleys and at the Sleeping God Canyon there's a magnificent 300-metre waterfall. There is a Department of Conservation visitor centre at the entrance to the park, call in for advice before you start hiking. 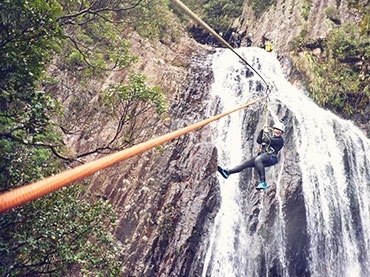 Canyonz has been operating for more than 10 years offering North Island guided canyoning trips through some of the most beautiful landscape New Zealand has to offer. The owners aim to make it not just the best canyoning trip in New Zealand, but the best 'true adventure' experience in the country! With their expertise and enthusiasm for outdoor adventure they will guarantee your experience is positively mind-blowing. 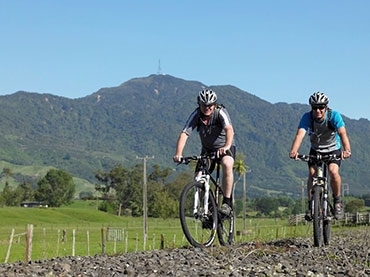 The Hauraki Rail Trail is a 3-day ride for most or a 2-day ride for those fit cyclists, making it an ideal long weekend or weekend experience. It can be accessed from Thames, Paeroa, Waihi/Waikino or Te Aroha, and offers a range of shorter riding options, including day rides. 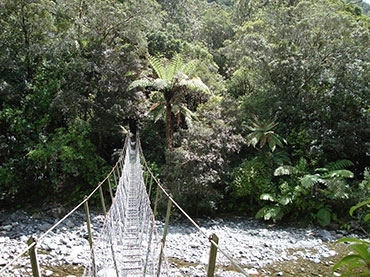 The trail showcases some of the best scenery New Zealand has to offer, rich in pioneering history. A major highlight includes riding through the stunning Karangahake Gorge, one of the 14 wonders of New Zealand. 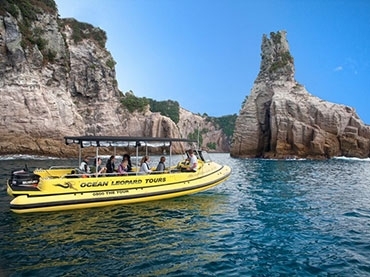 Explore one of New Zealand's most breathtaking stretches of coast on a fun and exhilarating Ocean Leopard Tour. 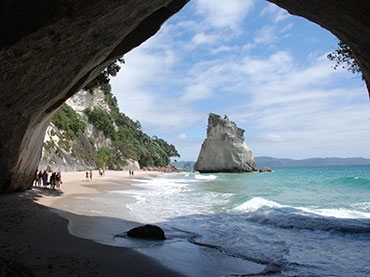 Visiting stunning beaches, including Lonely Bay, Shakespeare Cliff, Cooks Beach, Hahei and the spectacular Cathedral Cove (where the Chronicles of Narnia and Prince Caspian were filmed). You'll venture across the Te Whanganui-A-Hei Marine Reserve and get up close and personal with towering pinnacles, giant blowholes and sea caves – even entering the exciting Orua Sea Cave if conditions allow! Enjoy a 1-hour return trip on this scenic narrow-gauge mountain railway. 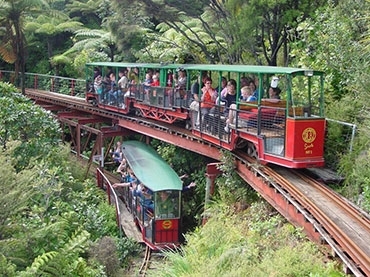 Travel through regenerating and replanted native kauri forest where unique pottery sculptures line the track. The train includes 2 spirals, 3 short tunnels, 5 reversing points and several large viaducts as it climbs up the hill to the Eyefull Tower. 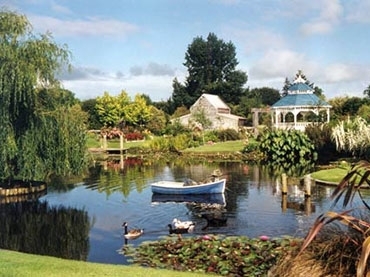 Ngatea Water Gardens is an unexpected treat for travellers passing through Ngatea on State Highway 2. Situated only 1 hour from Auckland, Hamilton, Tauranga and Coromandel, it is also a fun day trip destination. The picturesque 5 acre property has funny signs and scenes throughout, and is complete with a giftshop and playground. Take the time and enter this little wonder world, full of the most beautiful butterflies. Enjoy peace and magic while exploring the exotic garden. Follow a winding garden path and reach a splashing waterfall. 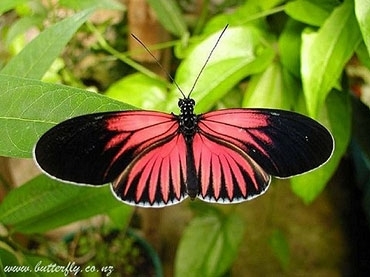 Discover birds and stroll amongst beautiful orchids, waterlilies and other flowers while butterflies flutter around you. You may even be lucky enough to have them land on you!